A full understanding of the drug production process is the key concept for correct design. Bram-Cor engineering focuses on fluid drugs sterile production processes, such as parenteral solutions, oral solutions, ophtalmic solutions, antibiotics, biotechnologies. 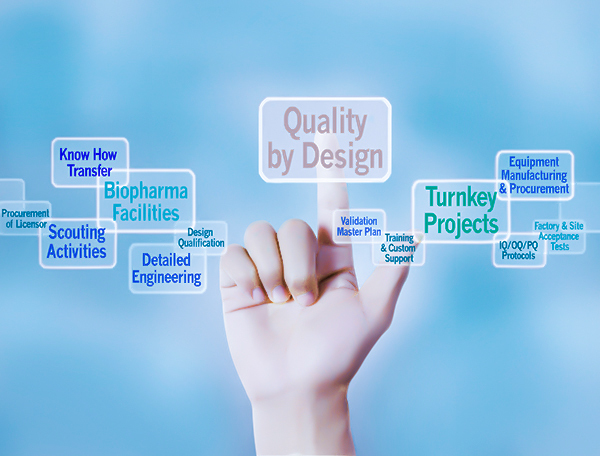 The definition, assessment and monitoring of critical parameters directly affecting product quality are the baseline for the application of suitable Process Analytical Technologies for in-line and at-line quality control. 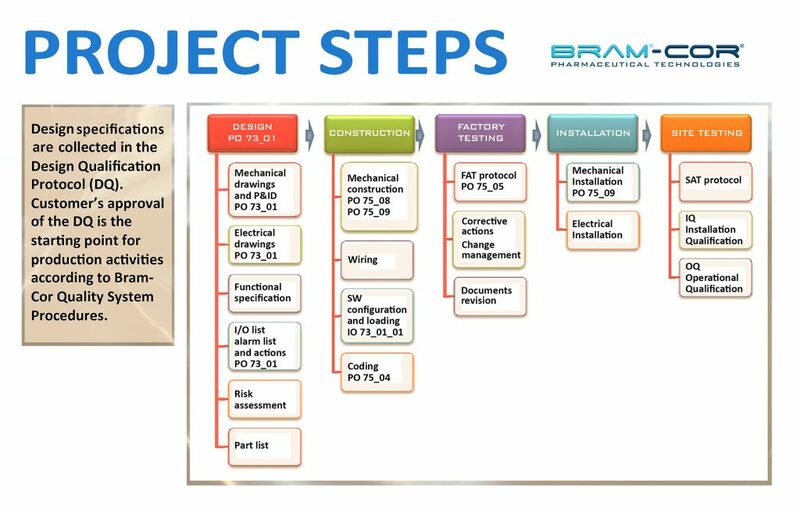 Bram-Cor work breakdown structure consists in following main activities: design, construction (mechanical, electro-pneumatic, SW configuration), testing, documentation, installation, validation, assistance . Every process follows rigorous GMP-compliant Standard Operative Procedures.